The pictured Here Kitty Kitty organic fabric and Crafty Cat embroidery pattern in the photos are not included. 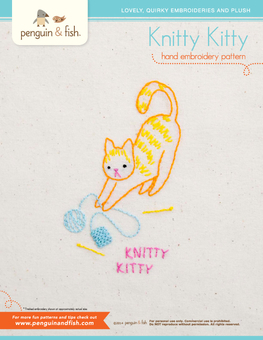 Check out the Crafty Cat embroidery pattern listing for some more crafty kitty fun. Here Kitty Kitty organic fabric is available soon!